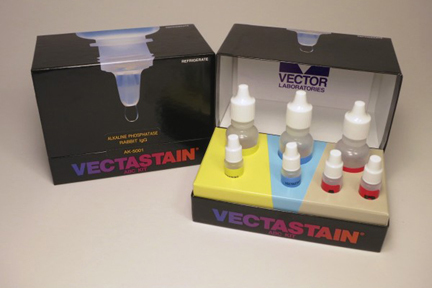 This ABC kit is for the detection of goat IgG primary antibodies and is sufficient for staining approximately 1000-2000 sections or fifty 100 cm2 blots. Contents include rabbit blocking serum, a biotinylated rabbit anti-goat IgG secondary antibody, Avidin DH, and biotinylated Alkaline Phosphatase. For research use only. Available for shipment within the USA only.